The Executive Director, Anti-Corruption and Research Based Data Initiative, Mr Dennis Aghanya, has denied allegations that the Presidency has a hand in the petition his group wrote against the Chief Justice of Nigeria, Justice Walter Onnoghen. Reacting to the insinuations that the petition was sponsored by President Muhammadu Buhari, Aghanya told one of our correspondents on Saturday night that he also took Buhari to court in 2011. Speaking with SUNDAY PUNCH on the telephone, Aghanya said, “Did you not know that I once took Mr. President to court in 2011? I used to be one of his aides but I took him to court. Aghanya said it was not true that the petition was calculated to emasculate the judiciary or help President Muhammadu Buhari's re-election in the forthcoming presidential poll, arguing that Nigerians should be more interested in the substance of the case. The Code of Conduct Bureau has concluded plans to arraign the Chief Justice of Nigeria, Walter Onnoghen, for false declaration of assets. Specifically, the CJN is to be prosecuted for operating three domiciliary accounts in Standard Chartered Bank accounts 1062650; 5001062686 and account 5001062679, all with a total balance of about $3m. The Code of Conduct Tribunal headquarters in Abuja, on Saturday, confirmed the development in a statement signed by its Head, Press and Public Relations, Mr Ibraheem Al-Hassan. According to Al-Hassan, the three-man panel of the tribunal, led by Danladi Umar, has fixed Monday for the arraignment of Nigeria's number one judge, following an application by the CCB for leave to commence the case. He said the application was filed at the tribunal on Friday and summons for the Monday's proceedings had been served on the CJN. All the six counts preferred against the CJN are said to be bordering on non-declaration of assets. The CCT's statement read in part, “The Code of Conduct Tribunal has scheduled Monday, January 14, 2019 for the commencement of trial against current Chief Justice of Nigeria, Hon Justce Onnoghen Nkanu Walter Samuel, for alleged non-declaration of assets. “This was consequent to application filed by the Code of Conduct Bureau to the CCT Chairman yesterday (Friday) for the trial to commence against the Chief Justice of Nigeria on six counts. “However, service of summons has been effected on the defendant. “The three-man panel, led by Justice Danladi Y. Umar, will commence the trial on Monday, January 14, 2019, at its courtroom, situated along Jabi Daki biyu, Saloman Lar Way, Abuja, at about 10am. The planned arraignment of Onnoghen, who is the Chairman, National Judicial Commission, followed a petition by a civil society group, Anti-Corruption and Research Based Data Initiative. The petition, dated January 7, 2019, was signed by ARDI Executive Secretary, Dennis Aghanya, and was stamped “received” by the office of the CCB chairman on January 9. In the petition obtained by SUNDAY PUNCH on Saturday, the group said Onnoghen made five different cash deposits of $10,000 each on March 8, 2011, into Standard Chartered Bank Account 1062650; two separate cash deposits of $5,000 each followed by four cash deposits of $10,000 each on June 7, 2011. It added that the CJN further made another set of five separate cash deposits of $10,000 each on June 27, 2011, and four more cash deposits of $10,000 each the following day. It said, “The discrepancy between Justice Walter Onnoghen's two CCB forms that were filed on the same day is significant. “In filling the section on Details of Assets, particularly cash in Nigerian Banks, His Lordship, as Declarant SCN: 000014, mentioned only two bank accounts: Union Bank account number 0021464934 in Abuja, with balance of N9,536,407, as of 14th November, 2014, and Union Bank account number 0012783291 in Calabar, with balance of N11, 456,311 as of 14th November, 2014. “The sources of the funds in these accounts are stated as salaries, estacodes and allowances. Others are Standard Chartered Bank account 5001062679 with balance of £108,352.2, as of 14th November, 2016; Standard Chartered Bank account 5001062693 with balance of N8,131,195.27, as of 14th November, 2016; Union Bank account 00021464934 with balance of N23,261,568.89, as of 14th November, 2016 and Union Bank account 0012783291 with balance of N14,695,029.12, as of 14th November, 2016. The petitioner alleged that the foreign currencies in the Standard Chartered Bank accounts that were declared by the CJN had been in existence since 2011, noting that the number one judicial officer in the country appeared to have concealed the substantial money in them. The group stated that Onnoghen did not declare his assets immediately after taking office, contrary to Section 15 (1) of Code of Conduct Bureau and Tribunal Act, stressing that he did not comply with the constitutional requirement for public servants to declare their assets every four years during their career. 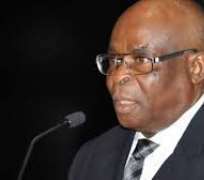 Also alleged against him is that his Code of Conduct Bureau Forms (Form CCB 1) for 2014 and 2016 were dated and filed on the same day and the acknowledgement slips were issued for both on December 14, 2016 — at which point, they said, Onnoghen had become the CJN. Onnoghen assumed office as the CJN on March 6, 2017. A source said the CJN, in his statement to the CCB, claimed that he forgot to make a declaration of his assets after the expiration of 2005 declaration in 2009. “Following my appointment as CJN in 2016, the need to make me declare my asset anew made me to realise the mistake and I did the declaration to cover the period in default. “I didn't include my Standard Chartered Bank accounts in SCN00004 because I believed they were not opened during the period covered by the declaration,” Onnoghen was quoted to have said. The CJN also reportedly claimed that he was initially keeping the foreign currencies at home, but later opened domiciliary bank accounts when he learnt that judicial officers were not supposed to keep money at home. Onnoghen said he could not remember the total amount of money he had in his personal reserves. The media aide to the CJN, Bassey Awassam, could not be reached for comments as calls made to his phone failed to connect. Meanwhile, Onnoghen is set to be arraigned before Justice Danladi Umar of the CCT, who, himself, has been accused of corruption by the Economic and Financial Crimes Commission. Incidentally, the EFCC prosecutor is Mr. Festus Keyamo (SAN), the Buhari Presidential Campaign Organisation's spokesman. Reacting to the development, the President, Pan Niger Delta Forum, Chief Edwin Clark, said the South-South region would not accept the harassment and removal of Onnoghen. He stated that the planned prosecution of Onnoghen was a ploy by Buhari to remove the CJN and install his candidate as CJN, adding that the move would be resisted by the Niger Delta people. Clark said, “The news of the (planned) arraignment of the CJN came to us as a surprise. He has been doing his job satisfactorily; he is an intelligent man. But Mr. President, who never wanted him to be appointed, before the election, he now wants to remove him in order to put his own candidate as CJN so that after rigging the election, he would set up the tribunal that would try the case. A pro-democracy group, Coalition in Defence of Nigerian Democracy and Constitution, also said it would resist the planned removal of the CJN. CDNDC, in a statement by its Convener, Ariyo-Dare Atoye, said, “From the outset, the despotic Buhari regime had fruitlessly sought to control and undermine the judiciary to do its illegal bidding, but it failed. But the Peoples Democratic Party, on Saturday, accused the Presidency of plotting to destabilise and annex the judiciary ahead of the 2019 general elections. It also alleged that the All Progressives Congress and a cabal in the Presidency were hounding the CJN and allegedly seeking his removal so as to cause a constitutional crisis, instill fear in judicial officers and pave the way for the foisting of a pliable CJN that would do their biddings on electoral matters. The PDP National Publicity Secretary, Mr. Kola Ologbondiyan, in a statement also said this had become worrisome following allegations that the APC was seeking a new CJN that would allegedly aid its rigging schemes as well as execute the plot to use the court to detain and put opposition members and outspoken members of civil society organisations out of circulation during the general elections. Ologbondiyan, who is also the Director, Media and Publicity, PDP Presidential Campaign Council, urged Nigerians, the United Nations and all international bodies to unite in defence of the nation's democracy, especially at this very critical time in the country's political development. H said, “Moreover, if President Buhari is committed to cleaning up the system as he claims, we challenge him to allow the Inspector-General of Police, Ibrahim Idris, whose tenure has expired and who had also been rejected by Nigerians due to his manifest partisanship, to go. He added, “Furthermore, we challenge Mr. President to also commence plans for the immediate prosecution of members of his campaign organisation, including his co-chairman, Asiwaju Bola Tinubu, and the (factional) National Chairman of his APC, Adams Oshiomhole over the allegations of corruption against them. Meanwhile, the PDP presidential candidate, Atiku Abubakar, warned Buhari and the ruling APC not to throw Nigeria into an avoidable crisis over their alleged desperation to sack Onnoghen. Atiku, in a statement on Saturday by his Special Assistant on Public Communication, Mr. Phrank Shaibu, said, “But we warn that despite the clandestine meetings in the highest echelon of the APC and also involving some top officials of the Federal Government, which include the CCT, neither Buhari nor the APC can re-write the Nigerian Constitution. He warned that if Buhari and the APC succeeded in the current plot, it then should be ready for an epic battle, the end of which no one could predict, and the consequences of which could only be imagined. Atiku alleged that the desperation of Buhari was to get Onnoghen out of the way and appoint an Acting CJN. In the same vein, opposition parties on the platform of the Coalition of United Political Parties are planning a one million-man march to protest the planned trial of Onnoghen before the CCT. The coalition's first national spokesperson, Imo Ugochinyere, disclosed this in a statement on Saturday. “Nigerian opposition will immediately commence mobilisation for a one million-man march to save the Nigerian judiciary from President Buhari's reign of destruction,” he said. He described Onnoghen's planned arraignment as undemocratic and unconstitutional. He said the plan was the latest in the strategies being deployed by the present administration to rig the forthcoming elections. He added, “The Presidency had, during the appointment of Justice Onnoghen, shown its card that it was not comfortable with his appointment hence it was delayed until President Buhari was hurried out of the country due to perennial illness. “Justice Onnoghen has since shown that he is fair, firm, and able to do justice and will not succumb to the pressure of a Presidency that is planning to rig an election as the only hope of winning a reelection following their rejection by the Nigerian people. Meanwhile, a former President of the Nigerian Bar Association, Mr Olisa Agbakoba (SAN), has condemned the planned arraignment of Onnoghen on charges of non-declaration of assets. Speaking with SUNDAY PUNCH on Saturday, Agbakoba described the development as one of the most draconian breaches of the Nigerian Constitution ever witnessed in the country. He said, “If this is correct, then it will be one of the most draconian breaches of the Constitution Nigerian has ever seen. “In the event that the CJN is complicit in anything, there are only two procedures to deal with him. Also, another Senior Advocate of Nigeria, Mr. Sebastin Hon, on Saturday, described the charges of non-declaration of assets preferred against the CJN as political. While conceding that the CJN does not enjoy immunity against criminal prosecution, he stated that the charges had the tendency of destroying the judiciary or gagging it. He said in his statement on Saturday that what the Federal Government ought to do was to “in the interest of national peace and cohesion” defer “the filing of those charges till an opportune time –since there is no limitation of time in criminal proceedings”. He said in a statement, “While I know that the Chief Justice of Nigeria does not enjoy immunity from criminal prosecution, I see this move by the Federal Government as dangerously political and tendentious. But the Chairman, Presidential Advisory Committee Against Corruption, Prof. Itse Sagay (SAN), says the planned prosecution of the CJN shows that no one is above the law. Sagay told one of our correspondents that although the prosecution of the CJN was saddening, it had show that Nigeria was slowly becoming a nation of laws. The senior advocate also responded to the arraignment of the President of the NBA, Mr. Paul Usoro (SAN), last year. The PACAC chairman said, “It shows that in Nigeria, nobody is above the law. I do not rejoice neither am I pleased that such high officials are being probed or investigated but it shows that in Nigeria, the law is working and that the rule of law operates and that no one is higher than the law. When reminded of the fact that the CJN would be arraigned before Danladi Umar of the CCT, who has also been accused of corruption, Sagay said the Federal Government had no other option. Meanwhile, the South-South Governor's Forum has scheduled an emergency meeting of the Forum on Sunday (today). A statement by the Special Adviser, Media Relations to the Governor òf Bayelsa State, Fidelis Soriwei, said among other things, deliberations would feature the recent development involving the planned arraignment of Onnoghen. Also to be deliberated upon at the meeting would be the security òf the Niger Delta, during and after the election, the issue of derivation. Although Aghanya said Buhari's action might have violated the laid down procedure, his intention was altruistic. Aghanya in 2017 lauded the efforts of the Kano State Governor, Abdullahi Ganduje, in the fight against corruption through curtailing drug abuse in the state. Aghanya's group honoured the governor with an award of Best Governor in Curtailing Drug Abuse in the country.